Who knew there is so much nature around urban Los Angeles? It really is Wild LA. This guidebook contains something for every Los Angeleno (or visitor). There is a page of pictures, descriptions, and interesting facts for 101 species including birds, mammals, insects, reptiles, snails, mold, and plants. All are found in greater Los Angeles and each profile gives the best locations to find them. There are twenty-five field trips around LA described that include directions, maps, and things to see. Ways to turn your own backyard into a wildlife habitat are also included. A comprehensive and useful guide to the nature that is all around Los Angeles. 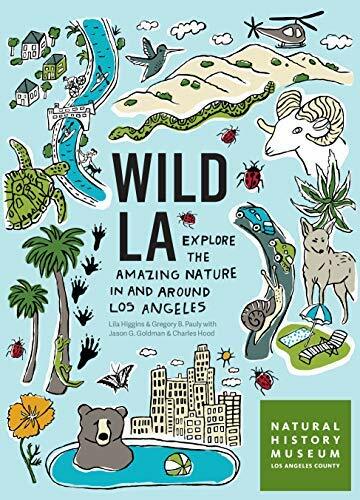 Wild LA is recommended for nature lovers around LA and those who wish to educate their children. 4 stars! Thanks to Timber Press and NetGalley for a copy in exchange for an honest review.